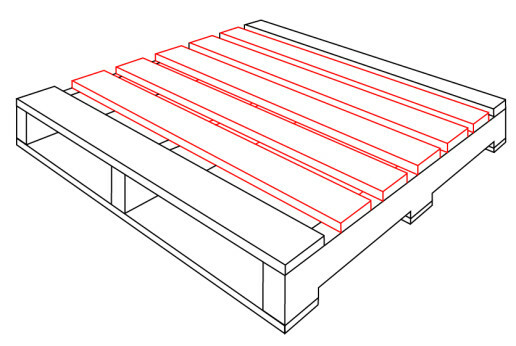 All the pallet terminology you’ll ever need to know. Direction of the deck boards. 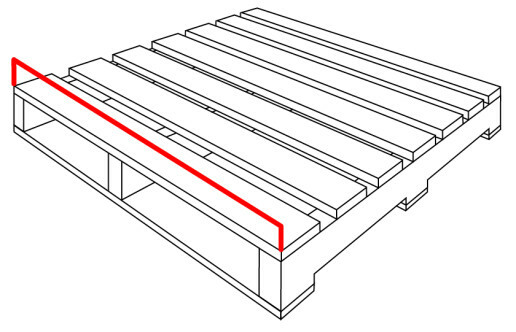 Distance between deck board supports, either stringers or block. The vertical span between the floor and top side of the top deck. Measurement of the stringer direction. The sterilization of a pallet using heat via the kiln process. The pallet is heated to 56degree C/132degree F for a minimum of 30 minutes. This process meets FAO and IPPC standards. 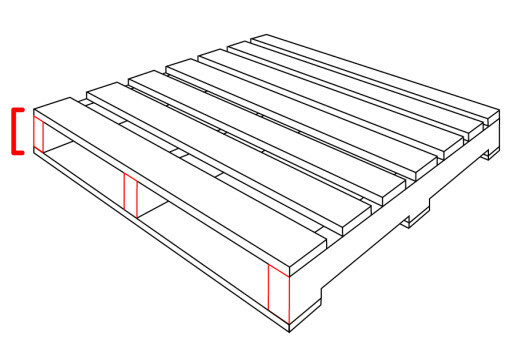 A pallet with deck boards flush to the stringer or block. No overhang. The repair board attached to a defective stringer to make it usable again. A plug is can run the full length of a stringer or only over a section of the stringer being repaired. The number of stringers repaired is used as part of the grading process in GMA pallets. 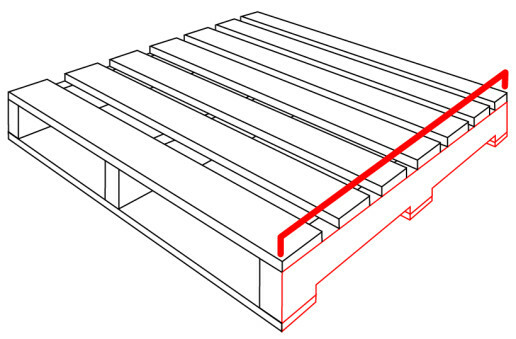 The top only (single wing) or both top and bottom boards (double wing) overhang the outer stringers. Usually used for heavier weights such as cement block. 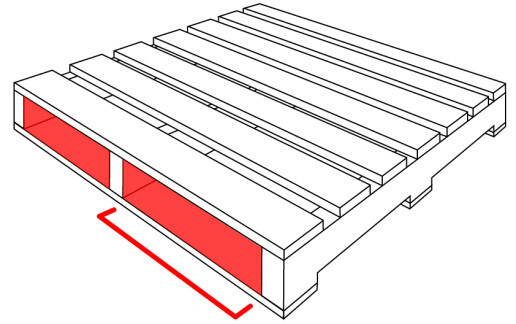 A pallet with a rectangular, square or cylindrical spacers between top and bottom decks. Used instead of stringers. 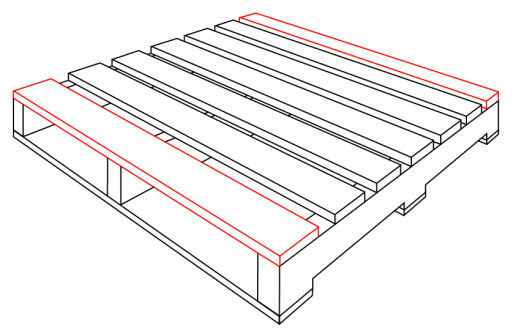 A pallet with no bottom decking. It is usually always a two way pallet. 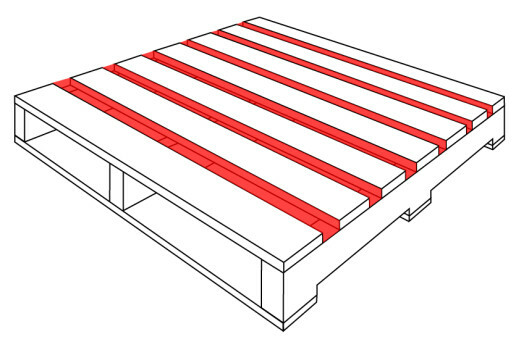 A commonly used,4way block heat treated pallet used for import/export. 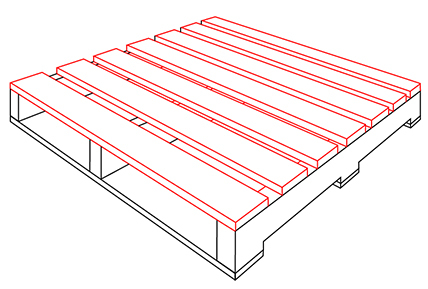 The design is strictly regulated by the European Pallet Association and is ISO accredited. If used to ship back overseas only pallets with these markings are acceptable EURO, EPAL, EUR.